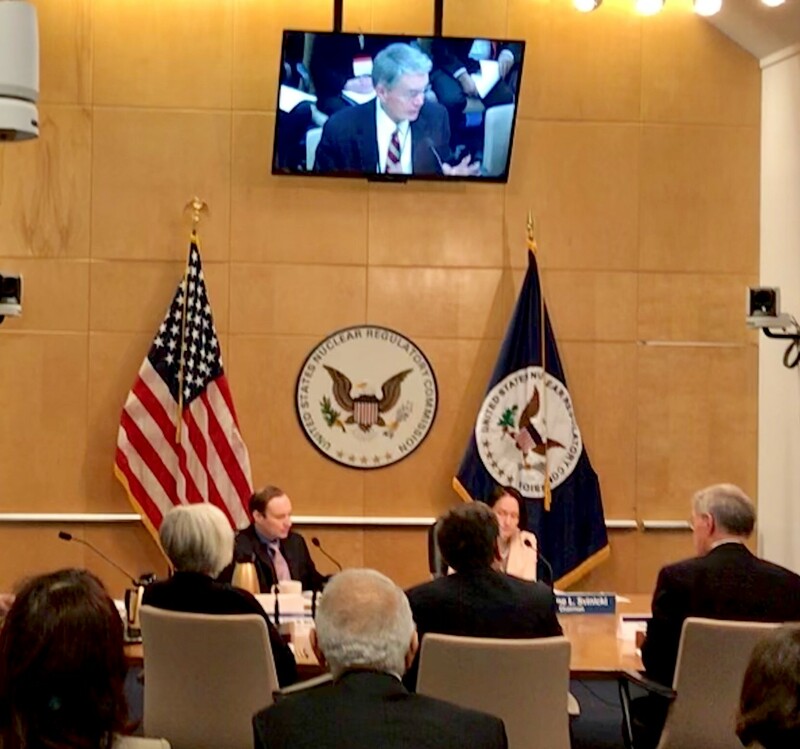 The Nuclear Regulatory Commission (NRC) held the spring meeting of its Advisory Committee on Medical Uses of Isotopes (ACMUI) on March 7 and 8, 2018. The ACMUI typically has public meetings during the spring and fall of each year and holds public teleconferences as needed. The ACMUI discussed several topics of importance to SNMMI, including worldwide supply and domestic production of molybdenum-99 (Mo-99) and training and experience requirements. Challenges remain with irradiator disruptions (such as extended unplanned shutdowns) and rising prices from the switch to LEU. Through the American Medical Isotope Production Act (AMIPA) of 2009, the Department of Energy is helping support domestic production of Mo-99. Recently the FDA approved the first domestically-produced non-uranium based Mo-99, RadioGenix from NorthStar Medical Radioisotopes in Beloit, Wisconsin. During the NRC Commission meeting with ACMUI, Christopher Palestro, MD, presented ACMUI's comments on the training and experience requirements for all modalities (35.300 uses). He provided a brief background on the subcommittee charge for reference. SNMMI previously reported this information to members. The subcommittee recently noted two significant developments worth considering. The first is the recent approval of Lu-177 DOTATATE for treatment of somatostatin receptor-positive GEP-NETs, including foregut, midgut, and hindgut. The ACMUI believes these broad indications to treat the second most common gastrointestinal tumor could result in potentially high demand for Lu-177 DOTATATE. The second concern noted was the waning number of nuclear medicine physicians in the U.S. As a result, the subcommittee is considering developing an alternate pathway for 10 CFR 35.390 and will provide another update in fall 2018.